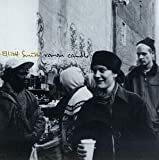 Elliott Smith�s �Roman Candles� is a sleepy, melodramatic piece of acoustic guitar work, the music is low-key, but at times can be just flat out snoozy and boring. The lyrics are charged with raw emotion, although sometimes out of key. It is an important piece of material to own for Elliott Smith Fans to show how far this folk rock artist came until the end of his career which was sadly cut short. Even if you don�t necessarily care for the music or don�t consider it to be his best, it a remarkable point of reference to his distinguished as a songwriter who has touched millions of people�s souls with his very own.